"Random-matrix behavior of quantum nonintegrable many-body systems with Dyson's three symmetries"
"Flemish Strings of Magnetic Solitons and a Nonthermal Fixed Point in a One-Dimensional Antiferromagnetic Spin-1 Bose Gas"
To be published in Phys. Rev. Lett. "Second-Order Topological Phases in Non-Hermitian Systems"
"Topological unification of time-reversal and particle-hole symmetries in non-Hermitian physics"
"Collective modes of vortex lattices in two-component Bose–Einstein condensates under synthetic gauge fields"
"Topological Entanglement-Spectrum Crossing in Quench Dynamics"
"Universal noise in continuous transport measurements of interacting fermions"
"Few-body states of bosons interacting with a heavy quantum impurity"
"Impurity-Induced Multibody Resonances in a Bose Gas"
"Non-Hermitian Kondo Effect in Ultracold Alkaline-Earth Atoms"
"Anomalous helical edge states in a non-Hermitian Chern insulator"
"Thermalization and Heating Dynamics in Open Generic Many-Body Systems"
"Topological Phases of Non-Hermitian Systems"
"Bound on the exponential growth rate of out-of-time-ordered correlators"
"Variational principle for quantum impurity systems in and out of equilibrium: Application to Kondo problems"
"Solving Quantum Impurity Problems in and out of Equilibrium with the Variational Approach"
"Nonholonomy of order parameters and su(3) vortices in spin-1 Bose-Einstein condensates"
"Many-body spin Hall effect with space-inversion symmetry"
"Thermalization and prethermalization in isolated quantum systems: a theoretical overview"
"Full-Counting Many-Particle Dynamics: Nonlocal and Chiral Propagation of Correlations"
"Information-to-work conversion by Maxwell's demon in a superconducting circuit quantum electrodynamical system"
"Quantum Szilard Engine with Attractively Interacting Bosons"
"Exploring the Kondo model in and out of equilibrium with alkaline-earth atoms"
"Many-body interferometry of magnetic polaron dynamics"
See also Research highlight in Nature Physics. "Universality of an Impurity in a Bose-Einstein Condensate"
"Entanglement prethermalization in the Tomonaga-Luttinger model"
"Exact zero modes in twisted Kitaev chains"
"Multiparticle quantum dynamics under real-time observation"
"Entanglement prethermalization in an interaction quench between two harmonic oscillators"
"Geometrically frustrated coarsening dynamics in spinor Bose-Fermi mixtures"
"Work fluctuation and total entropy production in nonequilibrium processes"
"Emergent Electromagnetic Induction and Adiabatic Charge Pumping in Noncentrosymmetric Weyl Semimetals"
"Determining the continuous family of quantum Fisher information from linear-response theory"
"Topological origin of universal few-body clusters in Efimov physics"
"Quantum critical behavior influenced by measurement backaction in ultracold gases"
"p-wave contact tensor: Universal properties of axisymmetry-broken p-wave Fermi gases"
"μ-symmetry breaking: An algebraic approach to finding mean fields of quantum many-body systems"
"Quantum-trajectory thermodynamics with discrete feedback control"
"Trade-off relation between information and disturbance in quantum measurement"
"Generalized Gibbs ensemble in a nonintegrable system with an extensive number of local symmetries"
"Precise multi-emitter localization method for fast super-resolution imaging"
"Work Fluctuation-Dissipation Trade-Off in Heat Engines"
"Entanglement pre-thermalization in a one-dimensional Bose gas"
"Excitation band topology and edge matter waves in Bose-Einstein condensates in optical lattices"
"Universal High-Momentum Asymptote and Thermodynamic Relations in a Spinless Fermi Gas with a Resonant p-Wave Interaction"
"Controlling and probing non-abelian emergent gauge potentials in spinor Bose-Fermi mixtures"
"Diffraction-Unlimited Position Measurement of Ultracold Atoms in an Optical Lattice"
See also Press Release from RIKEN. "How accurately can the microcanonical ensemble describe small isolated quantum systems?" "Quantum nonequilibrium equalities with absolute irreversibility"
"Classicality condition on a system observable in a quantum measurement and a relative-entropy conservation law"
"The second law of thermodynamics under unitary evolution and external operations"
Annals of Physics 354, 338-352 (2015). "Onset of a Limit Cycle and Universal Three-Body Parameter in Efimov Physics"
"Quantum Mass Acquisition in Spinor Bose-Einstein Condensates"
"General achievable bound of extractable work under feedback control"
"Nonequilibrium equalities in absolutely irreversible processes"
"Global phase diagram of two-component Bose gases in antiparallel magnetic fields"
"Microscopic Origin and Universality Classes of the Efimov Three-body Parameter"
"Lee-Yang cluster expansion approach to the BCS-BEC crossover: BCS and BEC limits"
"Topological influence and backaction between topological excitations"
"Thermodynamic work gain from entanglement"
"Integral quantum fluctuation theorems under measurement and feedback control"
"Atomic spin-orbit coupling synthesized with magnetic-field-gradient pulses"
Phys. Rev. A 87, 063634 (2013). "Gauge-spin-space rotation invariant vortices in spin-orbit coupled Bose-Einstein condensates"
"Fluctuation-induced and symmetry-prohibited metastabilities in spinor Bose-Einstein condensates"
Physical Review A 88, 043629 (2013). "Simultaneous continuous measurement of photon-counting and homodyne detection on a free photon field: dynamics of state reduction and the mutual influence of measurement backaction"
J. Phys. A: Math. Theor. 46, 425303 (2013). "Integer Quantum Hall State in Two-Component Bose Gases in a Synthetic Magnetic Field"
Physical Review Letters 111, 090401 (2013). "Spinor Bose gases: Symmetries, magnetism, and quantum dynamics"
Reviews of Modern Physics 85, 1191-1244 (2013). "Finite-size scaling analysis of the eigenstate thermalization hypothesis in a one-dimensional interacting Bose gas"
Physical Review E 87, 012125 (2013). "Beliaev theory of spinor Bose-Einstein condensates"
Annals of Physics 328, 158-219 (2013). "Hydrodynamic description of spin-1 Bose-Einstein condensates"
Physical Review A 86, 063614 (2012). "Crossover trimers connecting continuous and discrete scaling regimes"
Physical Review A 86, 062703 (2012). "Symmetry classification of spin-orbit-coupled spinor Bose-Einstein condensates"
Physical Review A 86, 033628 (2012). "Fluctuation theorem with information exchange: Role of correlations in stochastic thermodynamics"
Phys. Rev. Lett. 109, 180602 (2012). "Quantum Hall states in rapidly rotating two-component Bose gases"
Phys. Rev. A 86, 031604(R) (2012). Physics Reports 520, 253-381 (2012). "Topological classification of vortex-core structures of spin-1 Bose-Einstein condensates"
Physical Review A 86, 023612 (2012). "Criteria of off-diagonal long-range order in Bose and Fermi systems based on the Lee-Yang cluster expansion method"
Physical Review A 85, 043601 (2012). "Nonequilibrium thermodynamics of feedback control"
Physical Review E 85, 021104(1)-021104(16) (2012). "Bose Gases with Nonzero Spin"
Annu. Rev. Condens. Matter Phys. 3, 263-283 (2012). "Abe homotopy classification of topological excitations under the topological influence of vortices"
Nuclear Physics B 856, 577 (2012). "Symmetry classification of spinor Bose-Einstein condensates"
Physical Review A 84, 053616 (2011). "Effects of thermal and quantum fluctuations on the phase diagram of a spin-1 87Rb Bose-Einstein condensate"
Physical Review A 84, 043645 (2011). "Uncertainty relation revisited from quantum estimation theory"
Physical Review A 84, 042121 (2011). "Eigenstate randomization hypothesis: Why does long-time average equal the microcanonical average?" Physical Review E 84, 021130 (2011). "The Efimov effect in lithium 6"
Comptes Rendus Physique vol. 12, 13-26 (2011). "Measurement of an Efimov Trimer Binding Energy in a Three-Component Mixture of 6Li"
Phys. Rev. Lett. 106, 143201 (2011). Phys. Rev. Lett. 106, 070401 (2011). See also view point commentary Physics 4, 13 (2011) by J. M. R. Parrondo and J. M. Horowitz. "Universal physics of 2+1 particles with non-zero angular momentum"
Few Body Systems, 51, 207 (2011). "Quasi-Nambu-Goldstone Modes in Bose-Einstein Condensates"
Phys. Rev. Lett. 105, 230406(1)-230406(2) (2010). "Experimental demonstration of information-to-energy conversion and validation of the generalized Jarzynski equality"
Nature Physics 6, 988-992 (2010). 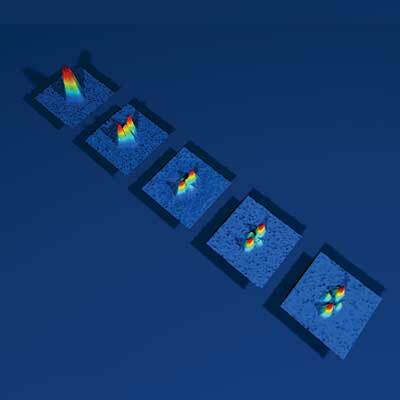 "Spontaneous magnetic ordering in a ferromagnetic spinor dipolar Bose-Einstein condensate"
Phys. Rev. A. 82, 43627-043643 (2010). "Nonuniversal Efimov Atom-Dimer Resonances in a Three-Component Mixture of 6Li"
Phys. Rev. Lett. 105, 023201 (2010). "Bogoliubov theory and Lee-Huang-Yang corrections in spin-1 and spin-2 Bose-Einstein condensates in the presence of the quadratic Zeeman effect"
Phys. Rev. A. 81, 063632 (2010). Phys. Rev. Lett. 104, 198904 (2010). "Generalized Jarzynski Equality under Nonequilibrium Feedback Control"
Phys. Rev. Lett. 104, 090602 (2010). "Measurement of Universal Thermodynamic Functions for a Unitary Fermi Gas"
"Optimal Measurement on Noisy Quantum Systems"
Phys. Rev. Lett. 104, 020401 (2010). "Independent Control of Scattering Lengths in Multicomponent Quantum Gases"
Phys. Rev. Lett. 103, 133202 (2009). "Collision Dynamics and Rung Formation of non-Abelian Vortices"
Phys. Rev. Lett. 103, 115301 (2009). "Possible Efimov Trimer State in a Three-Hyperfine-Component Lithium-6 Mixture"
Phys. Rev. Lett. 103, 073203 (2009). "Minimal Energy Cost for Thermodynamic Information Processing: Measurement and Information Erasure"
Phys. Rev. Lett. 102, 250602 (2009). "Ferrofluidity in a Two-Component Dipolar Bose-Einstein Condensate"
Phys. Rev. Lett. 102, 230403 (2009). "Critical temperature and condensate fraction of a fermion pair condensate"
Phys. Rev. Lett. 101, 180406 (2008). "Collisional Properties of p-Wave Feshbach Molecules"
Phys. Rev. Lett. 101, 100401 (2008). "d-Wave Collapse and Explosion of a Dipolar Bose-Einstein Condensate"
Phys. Rev. Lett. 101, 080401 (2008). See also viewpoint commentary Physics 1, 13 (2008) by M. Lewenstein. "Dynamical symmetry in spinor Bose-Einstein condensates"
Phys. Rev. A 78, 023609 (2008). "Heteronuclear fermionic superfluids with spin degrees of freedom"
Phys. Rev. A 77, 053605 (2008). 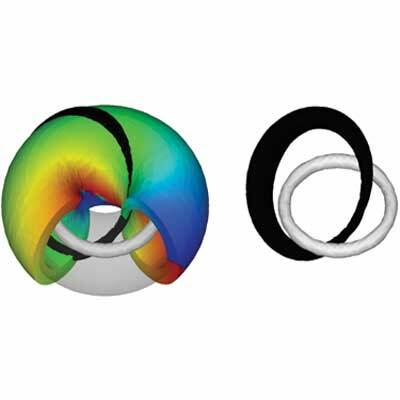 "Knots in a Spinor Bose-Einstein Condensate"
Phys. Rev. Lett. 100, 180403 (2008). "Density-Matrix Renormalization Group Study of Trapped Imbalanced Fermi Condensates"
Phys. Rev. Lett. 100, 110403 (2008). "Second Law of Thermodynamics with Discrete Quantum Feedback Control"
Phys. Rev. Lett. 100, 080403 (2008). "Topological Winding and Unwinding in Metastable Bose-Einstein Condensates"
Phys. Rev. Lett. 100, 060401 (2008). "Accuracy matrix in a generalized simultaneous measurement of a qubit system"
Phys. Rev. A 77, 012313 (2008). Phys. Rev. A 76, 053619 (2007). "Kibble-Zurek mechanism in a quenched ferromagnetic Bose-Einstein condensate"
Phys. Rev. A 76, 043613 (2007). "Upper bound on our knowledge about noncommuting observables for a qubit system"
Phys. Rev. A 76, 022325 (2007). "Anomalous Josephson Effect between Even- and Odd-Frequency Superconductors"
Phys. Rev. Lett. 99, 037005 (2007). "Probabilistic reversing operation with fidelity and purity gain for macroscopic quantum superposition"
Phys. Rev. A 75, 052323 (2007). "Can Spinor Dipolar Effects Be Observed in Bose-Einstein Condensates?" Phys. Rev. Lett. 98, 110406 (2007). "Circuit analysis of quantum measurement"
Phys. Rev. A 75, 012110 (2007). "Broken-axisymmetry phase of a spin-1 ferromagnetic Bose-Einstein Condensate"
Phys. Rev. A 75, 013607 (2007). "Topological defect formation in quenched ferromagnetic Bose-Einstein condensates"
Phys. Rev. A 75, 013621 (2007). "Breaking of Chiral Symmetry and Spontaneous Rotation in a Spinor Bose-Einstein Condensate"
Phys. Rev. Lett. 96, 065302 (2006). "Einstein-de Haas Effect in Dipolar Bose-Einstein Condensates"
Phys. Rev. Lett. 96, 080405 (2006). "Parametric Control of a Superconducting Flux Qubit"
Phys. Rev. Lett. 96, 107001 (2006). "Vacuum Rabi oscillations in a macroscopic superconducting qubit LC oscillator system"
Phys. Rev. Lett. 96, 127006 (2006). "Nambu-Goldstone Modes in a Rotating Bose-Einstein Condensate"
Phys. Rev. A 73, 043603 (2006). "Critical fluctuations in a soliton formation of attractive Bose-Einstein condensates"
Phys. Rev. A 73, 033611 (2006). "Stability analysis for n-component Bose-Einstein condensate"
Phys. Rev. A 73, 053611 (2006). "Quantum-statistical mechanics of an atom-dimer mixture: Lee-Yang cluster expansion approach"
Phys. Rev. A 73, 063608 (2006). "Reversible quantum measurement with arbitrary spins"
Phys. Rev. A 74, 012102 (2006). "Spontaneous Circulation in Ground-State Spinor Dipolar Bose-Einstein Condensates"
Phys. Rev. Lett. 97, 130404 (2006). "Stabilization of a matter-wave droplet in free space by feedback control of interatomic interactions"
Phys. Rev. A 74, 023602 (2006). "Symmetry Breaking and Enhanced Condensate Fraction in a Matter-Wave Bright Soliton"
Phys. Rev. Lett. 94, 090404 (2005). "Spin decoherence caused by spacetime curvature"
J. Phys. A: Math. Gen. 38, 2029-2037 (2005). "Spin textures in rotating two-component Bose-Einstein condensates"
Phys. Rev. A 71, 043611 (2005). "Vortices in Multicomponent Bose-Einstein Condensates"
Int. J. Mod. Phys. B. 19, 1835-1904 (2005). "Spontaneous magnetization and structure formation in a spin-1 ferromagnetic Bose-Einstein condensate"
Phys. Rev. A 72, 023610 (2005). "Diagnostics for the ground-state phase of a spin-2 Bose-Einstein condensate"
Phys. Rev. A 72, 053628 (2005).